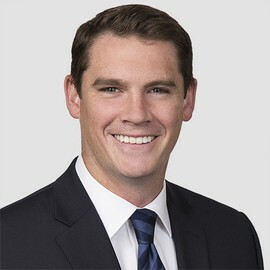 Colin counsels and represents government contractors and other companies on a broad range of legal issues, including investigations, bid protests, contract claims, and complex litigation in federal and state courts. He also has experience representing corporate clients in compliance and governance. A certified Legal Lean Sigma Institute (LLSI) White Belt, Colin uses the LLSI process and project management tools to continually improve the value proposition the firm delivers to its clients. Counsels clients in subpoena matters, False Claims Act and qui tam matters, criminal investigations, and civil investigative demands. Conducts internal investigations and advise clients on potential liability, disclosure obligations, and corrective actions. Counsels government contracting clients on a broad range of matters, including bid protests, contract claims and disputes, suspension and debarment matters, and complex civil litigation. Advises government contracting clients on compliance with the Federal Acquisition Regulation and the Service Contract Act. Counsels a sports and media holding company in compliance, governance, and transactional matters. Represents pro bono clients in disability benefits and landlord-tenant matters.